Sanātana Dharma – the heart of Indian civilization and culture – finds its roots in the eternal awareness of one’s own Self as documented in the Vedas. The universal spirit of the Vedic texts and the sublime beauty of Indian culture are enshrined in the immortal literary works of Vālmīki, Vyāsa, and Kālidāsa.The past, the present, and the future of Indian ethos are captured in the works of these three poets. If seekers of Indian culture were to understand and appreciate their compositions, their efforts will have found fulfillment. Universal values like Satyam (Truth) and Śivam (Auspiciousness) manifest as Sundaram (Beauty). Some cultures have only scriptures as their foundations (e.g. the Semitic religions). Some others have only the epics (e.g. the Greeks). Few others,no literatureis known(e.g. early Pagan traditions). In the Indian culture where we have both the scripture (Veda) and the epics (Rāmāyaṇa, Mahābhārata). A greater beauty lies in transcending these texts and our great works teach this too.Unique to the Indian culture is the unbroken heritage of epic culture that is deeply rooted in the ethos of all strata of society. The compositions of Vālmīki, Vyāsa, and Kālidāsa appeal to the learned and the laity alike. They help us reconcile the paradox of matter and energy at the level of physics, Śiva (Prakāśa or Brahman) and Śakti (Vimarśa or Māyā) at the level of metaphysics. Students of Indian culture who read through the works of these great poets will never see a conflict between the so-called classical and non-classical, eternal and temporal, or spiritual andsecular; unlike in some other cultures, these are not seen as eternal conflicts. These gifted poets, through their themes and characters, give us sustainable models for a meaningful life. Basic values of life, starting from the level of the individual to the level of society are suggested in these works. A matter-of-fact statement of the Vedas is converted into a tantalizing real-life scenario, full of aesthetic exuberance and artistic mastery. These poets breathe life to the various disciplines like the texts on Dharma, Artha, Kāma, and Mokṣa as well as works on Nīti (ethics and philosophy), Kalā (fine arts and crafts), and Śilpa (sculpture, skills, and applied sciences). They picturesquely paint our geography – lands, mountains, seas, rivers, flora, fauna, and seasons. They give unforgettable accounts of our ancient festivals, rituals, customs, lifestyle, and society. Before evaluating the worth of Indian culture, one has to first understand these masters.Only with such understanding can onegauge the Indian worldview. Apart from these three luminaries, we should mention another great poet – Guṇāḍhya, the composer of the Bṛhatkathā. 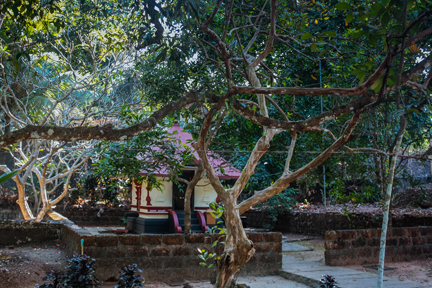 His work enshrines life in ancient India and has been retold by several Sanskrit poets. The story-telling spirit of Vyāsa and Vālmīki take on colossal proportions in Guṇāḍhya. Much of our Kathā-sāhitya (masterly works like Pañcatantra, Daśakumāracarita, Kādambarīand Vetāla-pañcavimśati) has been influenced byGuṇāḍhya. His work also enriched Indian theater, through the works of playwrights like Bhāsa, Śūdraka, Śrīharṣa and Śyāmilaka. If the seer-poets Vyāsa and Vālmīki focused on Dharma and Mokṣa, the seer-like poet Guṇāḍhya painted a complex world of Artha and Kāma, and Kālidāsa is the genius who connected these three masters by his golden utterances. If Vyāsa, Vālmīki, and Guṇāḍhya can be likened to Gaṅgā, Yamunā and Sarasvatī, Kālidāsa is a reliable boatman who can safely navigate their sublime currents. Literature in all regional languages of India have been deeply influenced by the works of these masters.Every great poet of India has acknowledged his/her debt – both in form and in content – to these masters. Not only in literature, but we find their lasting influence on fine arts like music, dance, theater, painting, sculpture, crafts and their derived or applied forms. 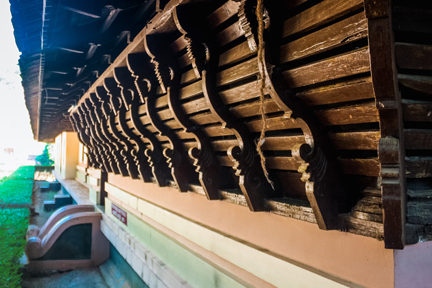 The existence of such an ancient yet living tradition provides an extraordinary view to anyoneseeking their own cultural roots and history or to students of cultural anthropology. In the proposed ten-day workshop, we will give a broad vision of this transcendental tradition, relying primarily on the original texts. We will focus on the realization of culture through the works of these masters. We hope that a true seeker will cultivate a feel for Indian culture and thus develop a wholesome understanding. We will study with examples the legacy of these seer-poets reflected in various art forms. 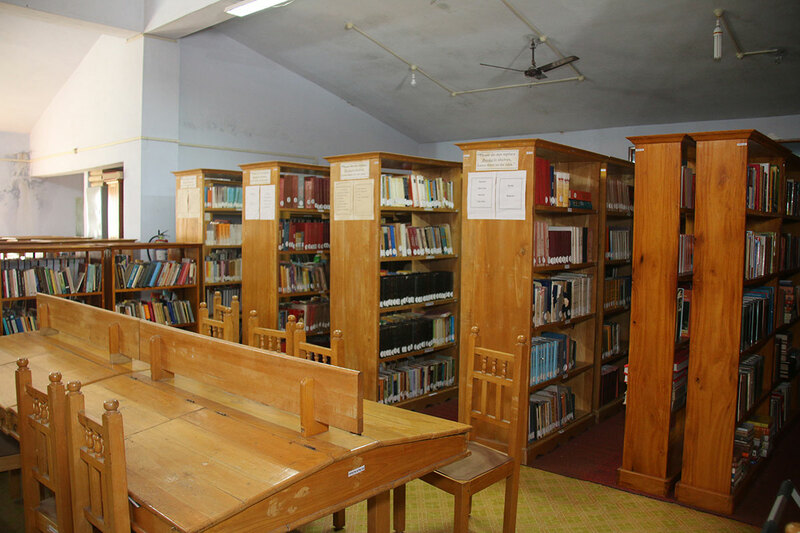 The lacunae in current education that leaves a disconnect with the source literature of the Indian culture would be fulfilled. It will be an unforgettable journey of joy and learning. 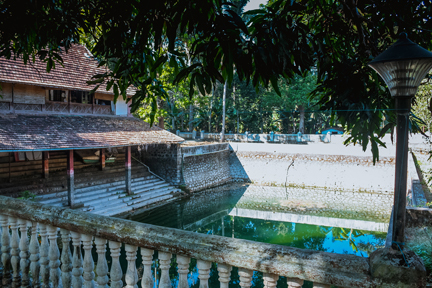 Established in the year 1989, CIF is housed in Adi Sankara Nilayam, the maternal birth home of Śrī Ādi Śaṅkara, CIF stands amidst luxuriant greenery, temple shrines and lotus ponds. 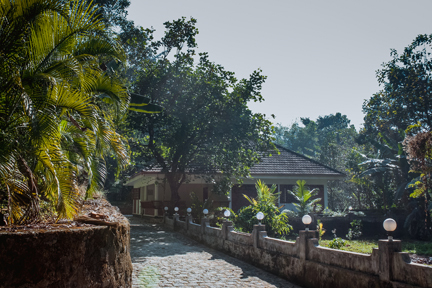 There is an ambience of peace combined with old-world charm, ideal for study, research and contemplation. 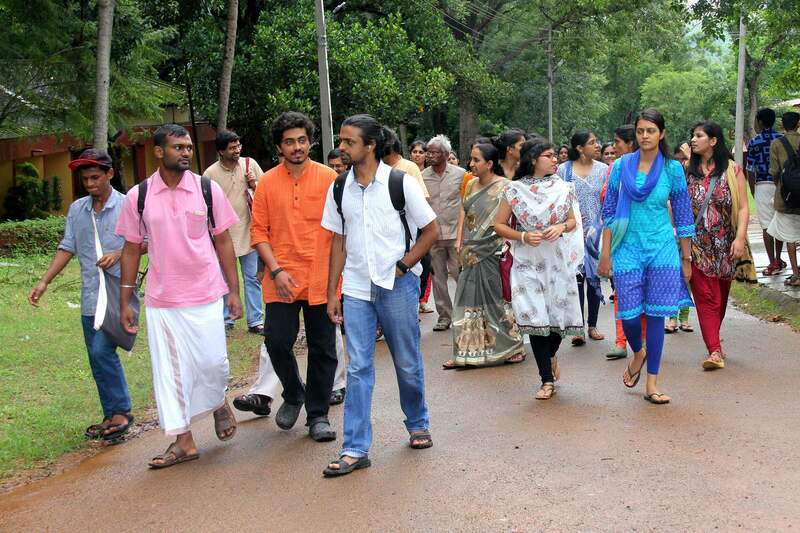 Chinmaya Vishwavidyapeeth or Chinmaya University, as it is referred, is a newly established university to fulfill the niche area of education in the field of Sanskrit and Indic Tradition with the objective of conserving, exploring and sharing the contemporary relevance of ancient knowledge traditions and cultural heritage. 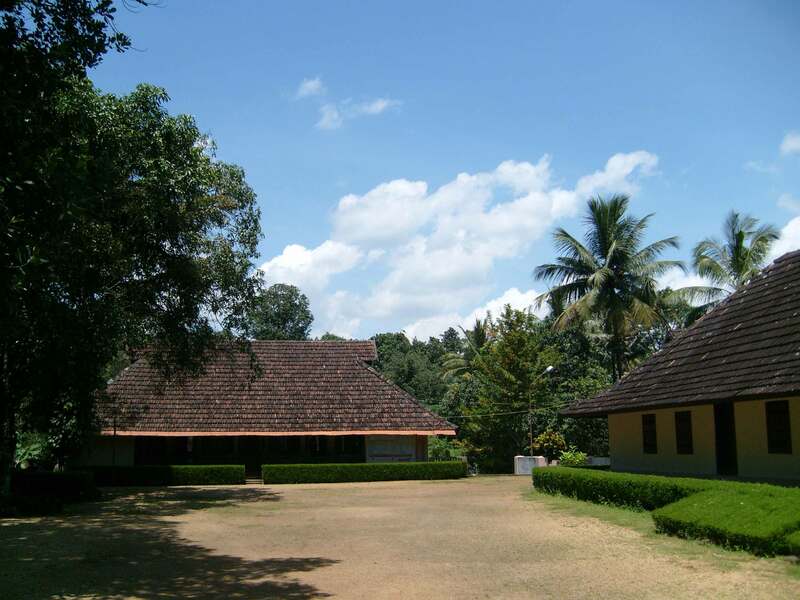 Chinmaya University has two campuses: Chinmaya Eswar Gurukula for Sanskrit and Indic Wisdom near Kochi, Kerala; and Chinmaya Naada Bindu Gurukula for Performing Arts near Pune, Maharashtra. 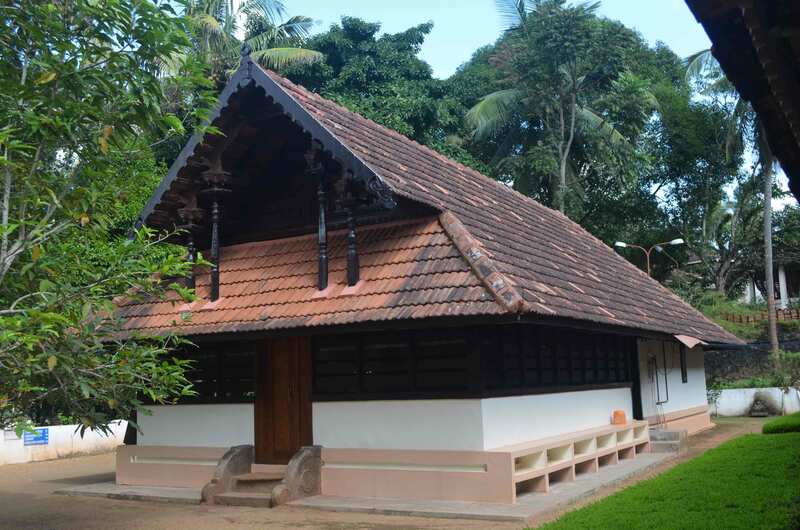 The academic collaboration on “Vālmīki, Vyāsa, and Kālidāsa” combines the fields of Indic epic & classical Sanskrit literature and its impact on Indic Civilisation and Culture and spans the interests of both its campus through exploration of the Philosophy of their works and its expression through various art forms. Shatavadhani Dr. R. Ganesh is a practitioner of the rare and uniquely Indian art form of avadhāna, and an author in Sanskrit and Kannada and a poet in multiple languages. He has performed more than 1000 avadhānas, in Kannada, Sanskrit, Telugu, and Prākṛt. He is known for extempore composition of poetry (āśukavita) during these performances, and even of chitrakāvya. He is the only Śatāvadhāni from Karnataka. He once set a record by composing poetry for twenty-four hours continuously. In 2012, he performed the first ever Śatāvadhāna entirely in Kannada in a three-day continuous stint. On 16 February, 2014, in Bangalore, he performed his 1000th avadhāna. He is an author of over 40 books in Sanskrit and Kannada and over a 100 research articles on wide ranging topics of Indian literature, philosophy and culture. 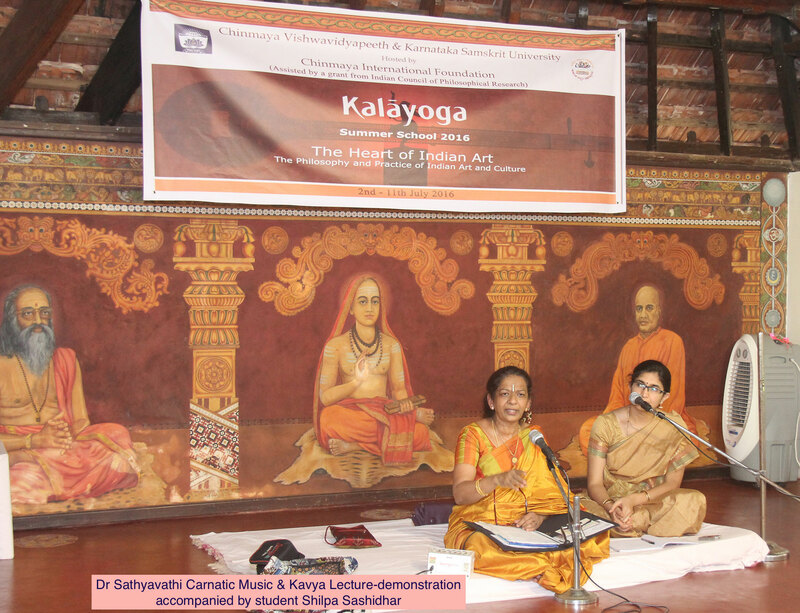 Dr.. Ganesh was the Academic Director for Summer School 2016 on the theme of “Kalāyoga: The Heart Of Indian Art”. Highly appreciated by every participant as an extraordinary education in Indian Literarture, Arts and Aesthetics, it was a tremendous experience of joyful discovery. Dr. R. Ganesh was born on the 4th of December, 1962, in Kolar, Karnataka. His parents were R. Shankar Narayan Aiyar and K.V. Alamelamma; his ancestors hailed from Devarayasamudram. He completed his primary and middle school education in Bengaluru and high school education in Gowribidanur. 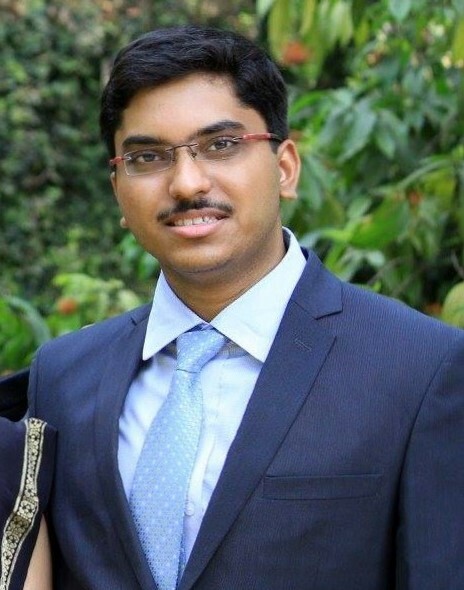 A graduate of Mechanical Engineering from the Vishweshwaraiah college of Engineering, Bangalore, Dr. Ganesh holds an MSc degree in Material Science and Metallurgy from the well-known Indian Institute of Science, Bengaluru. He also holds a MA in Sanskrit from the Mysore University. From the young age of ten, Dr. Ganesh cultivated a passion for literature and studied, in detail, the great works of ancient poets in Sanskrit and Kannada. By the age of sixteen, he blossomed into a poet of high merit, introducing the classicality of Meter, Rhyme, Grammatical precision and traditionalism into his style. 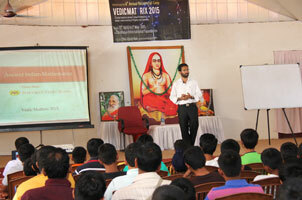 He also mastered the unique art of ‘Āśukavitva’– a style of reciting poems extempore on any given topic. Detailed and deep study of the various branches of Indian literature, arts and poetics further enriched his inherent talent and style. At the age of nineteen, he happened to witness a session of Sanskrit Avadhāna, which inspired him to try the art himself. This was a landmark not only in his life, but also in the history of ‘Avadhāna’. The very next day, amongst a group of friends, he successfully ventured to perform a complete ‘Aṣtāvadhāna’! This was his glorious entry into the field. He set out to perform hundreds of such Avadhānas, capturing the hearts and admiration of the public. Ever since, he has been a perennial source of entertainment, fascination and pride to lovers of art and literature. The first formal public Avadhāna of Dr. Ganesh was held at Kolar. Incidentally, his Hundredth and Two-hundredth Avadhānas were also held there. So far he has successfully accomplished more than 1020 Aṣṭāvadhānas and 5 Śatāvadhānas on various prestigious platforms at the state and national levels. He was the first person to perform a full-fledged Śatāvadhānam in the Kannada language. He has also performed in the American and European continents, giving the world a taste of Indian brilliance and talent. 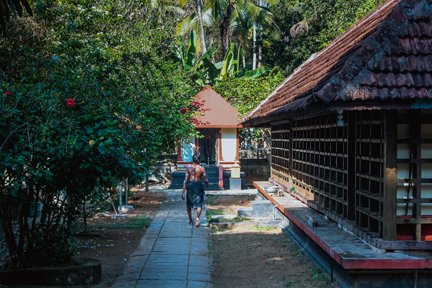 For Dr. Ganesh, Avadhāna has never been merely an occupation or passion, but verily a sacred penance; each feat of ‘Avadhāna’ is a sacred worship where the onlookers are the Gods themselves, whom he wishes to appease. His devotion and dignified attitude has added special charm and sophistication to his performances. His vast knowledge, experience, extraordinary talent, wit and wisdom amaze the audience. There are usually eight parts in an Aṣṭāvadhāna and some extra ones are added according to the performers’ capabilities, the number sometimes soaring to 10, 13, 100 or even 1000! The parts of Avadhāna of Dr.Ganesh are many and varied – Classical Poetry, Extempore (Atyāśudhāra), scholastic discussions of various scriptures, arts and sciences, vivid commentaries are a few additions alongside the usual parts of Aṣṭāvadhāna. His performances are marked with a wonderful sense of timing, healthy humour and interesting discussions. Dr. Ganesh is one of the very few Avadhānīs who is extremely innovative, adding new dimensions and aspects into his Avadhānas time and again. Thus the list of parts in his Avadhānas grows. ‘Citra Kavitā’ is one of the toughest and most challenging forms of Indian classical poetry, which has never been dared before in any Avadhāna. Dr. Ganesh is the one and only Avadhānī to have performed this, that too extempore, on stage, during one of his Avadhānas! This single feat perhaps explains his genius and mastery over the art. Dr. Ganesh performs complete ‘Avadhāna’ not only in Kannada but also in Sanskrit and Telugu and is rightly known as ‘Tribhāṣāvadhānī’. He is also an ‘Aṣṭabhāṣāvadhānī’, and can manage the programme in eight languages simultaneously! Some of his Avadhānas are sometimes based on single topics, such as ‘Rāmāyaṇavadhāna’, ‘DVG Sāhityāvadhānam’ – based on the works of DVG and ‘Bhyrappa Sāhityāvadhānam’ – based on the works of Dr. S. L. Bhyrappa. ‘Rāṣtrāvadhāna’, performed for the Kargil martyrs, was a unique tribute to the war heroes and greatly inspired patriotic sentiments among the listeners. Dr. Ganesh has been the first and only ‘Śatāvadhānī’ of Karnataka. He created a record in 1991 by performing a complete ‘Śatāvadhāna’ in a single day, which in normal course would take 3-4 days. 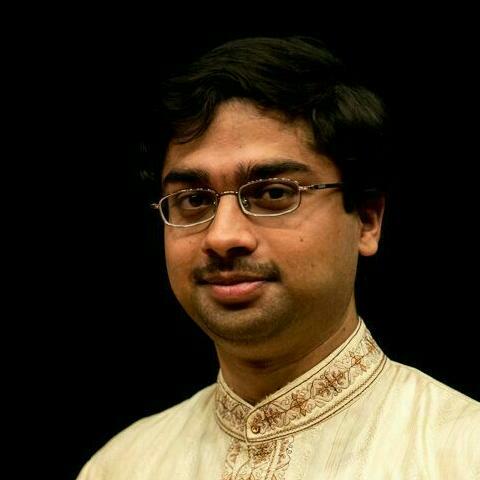 He achieved it composing 108 classic pieces of poetry and in eight languages! This was indeed an unheard of glorious adventure in the intellectual world. He has also dared to perform the ‘Aṣṭāvadhāna’ within half an hour! Another landmark in the field of Avadhāna is his ‘Yugalavadhāna’ performance – a simultaneous ‘Avadhāna’ in both Sanskrit and Kannada languages! 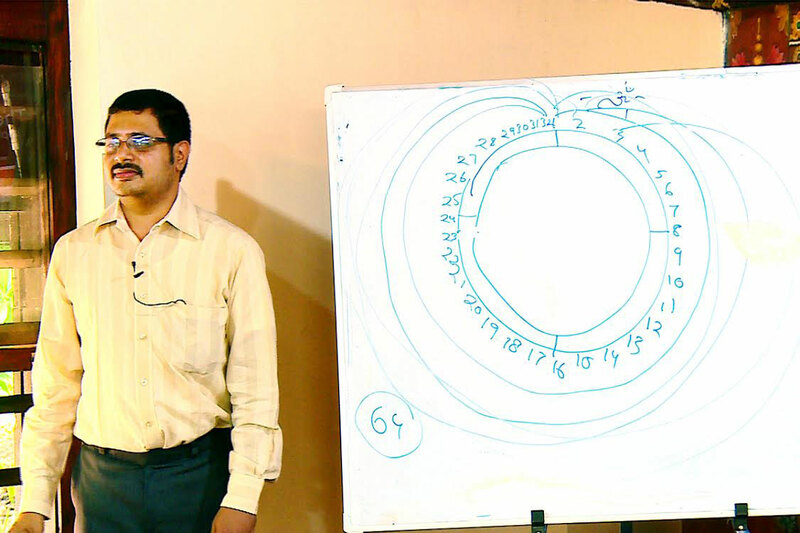 Dr. Ganesh has not only mastered Sanskrit, Kannada, Telugu and English languages, but is also proficientin Prākrit, Pāli, Tamil, Hindi, and Marathi. Ancient languages of Greek, Latin,and Italian have added to the treasure of his knowledge. He has to his credit the study and knowledge of Greek Literature in its original textual form. Dr. Ganesh has a deep and intimate knowledge of various forms of Indian classical music, dance, sculpture, paintings and other fine arts. His views and commentaries on these subjects are rich with deep introspective wisdom and unfold valuable information and ideas to performing artists and lovers of art. He is well versed in various subjects like prosody (Chanda-śāstra – to do with the Meter form), poetics (Kāvya-śāstra), Veda, Vedāntic scriptures, Dharma-śāstras, History, Aesthetics, Grammar, Physics, Biology, Chemistry, Technology etc. to name a few. His knowledge of past and current affairs in various fields is indeed commendable. Research and innovation are two fields where his contributions are everlasting. He has held several kāvya-citra-gīta-nṛtya eventsall over India, where the poet (Dr. Ganesh), a painter, a musician and a dancer take challenges impromptu and present different themes through their own artistic medium. 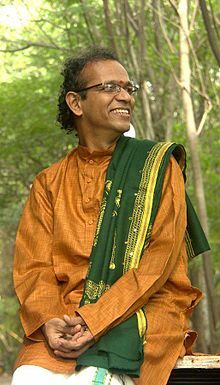 He has composed poems for the ‘Karana-Viniyoga-Maalika’ CD, which includes an application of various Maarga-Karanas as described in the Nāṭya-śāstra. Along with Late Smt. Sundari Santhanam, he has helped reconstruct Desi Karanas from scriptures and sculptures and has also composed the defining verses for the same. He has composed several thillanas, padams and kīrthanas which are helpful for both classical musicians and dancers. He has given several lectures on topics ranging from Indian aesthetics, Indian & western classical literature, philosophy, art-forms, festivals, culture and so on. The recordings of these lectures are a valuable source of information for a student of Indian aesthetics and culture. 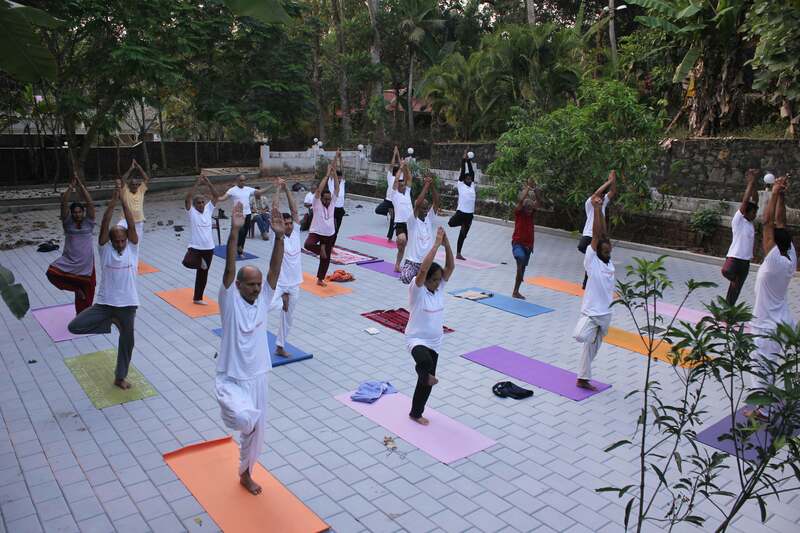 He has guided and taught many students of Sanskrit Literature, Music, and Dance, and continues to teach extensively. Dr. Ganesh has presented hundreds of research papers and his valuable views on various subjects in Sanskrit, English and Kannada languages in prestigious National and International seminars. His lectures and writings have impressed and educated all classes of people; he has been successfully pioneering the spread of knowledge and culture. Logical precision, clarity of subject, intuitive wisdom, vast knowledge of various subjects, comprehendible and practical illustrations and examples, extremely attractive oratory are some significant features of his masterly presentations. Dr. Ganesh has contributed a number of valuable works to the world of literature. His writings range from books on various subjects, biographies, kavyas, lyrics for classical music and dance, compilations of quotes, besides articles for journals and magazines. Other than these, he has composed about 16 Kāvyas in Sanskrit, 12 Rūpakas and a large number of poems and songs in various languages. Some of his other commendable works are: Kumaaraniruddha Parinaya (a Dwisandhāna Kāvya) and seven other Kāvyas, 4 novels, several stories, essays and articles on various topics. Many of these have been featured in journals, monthlys, newspapers and magazines. He has written biographical sketches of eminent personalities, such as ‘Brahmapuriya bhikshuka’ which is a collection of anecdotes in DVG’s life, ‘Aardra-jyothi’, which is a biography of Prof. M. Hiriyanna, ‘Savratrantra-Svatantra’, which is a biography of Prof SK Ramachandra Rao and ‘Vaani-vaaha’, which is a biography of Vid. N. Ranganatha Sharma. He has helped in the compilation of the quotable quotes from Dr. SL Bhyrappa’s novels (‘Bhyrappanava Sookti Sampada’) and a collection of essays on the novels (Bhyrappanava Saahityadalli Maulyaprajne). Arjun Bharadwaj is a poet, scholar and an engineer from Bengaluru. He holds B.Tech & MS degrees (ETHZ, Switzerland) in Engineering and the Goethe Zertifikat C1 in the German language. Arjun is a polygot, well versed in Sanskrit, Kannada, English, German, Greek, Hindi and is also exposed to Latin, Italian and French languages. He is trained in the Carnatic flute under Vid. Loka Shankar, Bengaluru and holds ‘junior’ degree in Tabla from the Karnataka State board. He had his lessons in Vedānta from Prof. Manikarnikamma, Bengaluru. He owes his artistic and scholarly capabilities to the guidance and mentorship of Śatāvadhāni Dr. R. Ganesh. He is also a student of the Nāṭyaśāstra and the mārgi-tradition and is being guided by Gurus Smt. Nirupama, Sri Rajendra and Dr. R Ganesh. He is also a connoisseur of Indian and western sculpture and painting. Arjun is a multi-lingual writer, translator and a Sanskrit poet composing lyrics for dancers and musicians. Besides solo flute concerts in India and overseas,he is an accompanying musician for dance performances. His scientific and literary articles have been published in journals of international repute. Arjun is currently pursuing research in comparative aesthetics of classical Greek and Sanskrit literature. He gives talks and workshops on arts, aesthetics and values regularly. 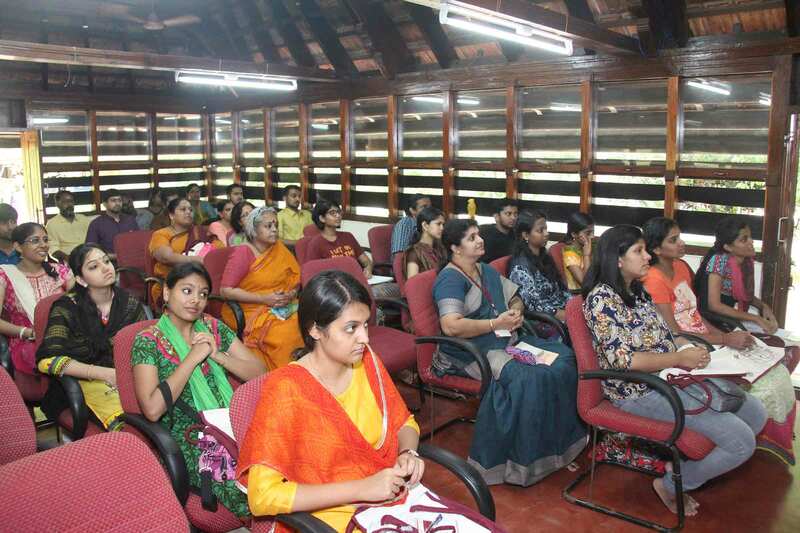 He conducts classes on Indian and foreign languages and literature in Bangalore. Shashi Kiran B. N. holds a bachelor's degree in Mechanical Engineering. His interests include Indian aesthetics, history, Hindu scriptures and philosophy, and Sanskrit and Kannada literature. He is currently pursuing a Masters degree in Sanskrit, specializing in sāhitya-śāstra. A literary aficionado, Shashi enjoys composing Sanskrit verses set to classical meters. 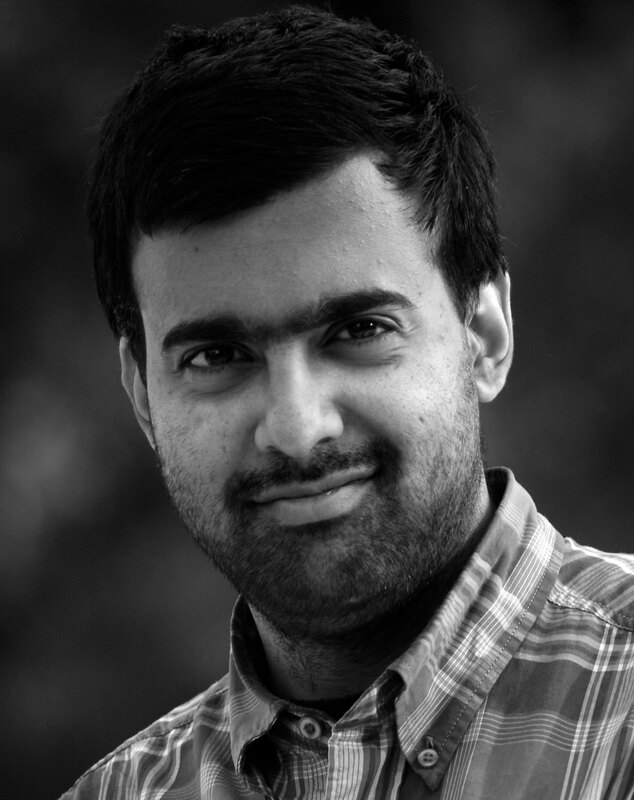 Hari Ravikumar has been a mechanical engineer, software coder, content manager, administrator, teacher, designer, copyeditor, product strategist, community/event manager, pedagogue, and writing facilitator at various points of time in his life. His interests include Hindu scriptures, Carnatic music, learning languages, comics, graphic design, mathematics, education pedagogy design, and films. He co-wrote The New Bhagavad-Gita, The Easy Bhagavad-Gita, The Complete Bhagavad-Gita, and Srishti (with Koti Sreekrishna) and translated Śatāvadhāni R. Ganesh’s Kannada monograph Sāmānyadharma to English. He recently co-wrote a modern English translation of D V Gundappa's Mankutimmana Kagga (with Malathi Rangaswamy). His articles and essays have appeared in Bhavan’s Journal, Daily O, IndiaFacts, Prekshaa, Swarajya, and The Economic Times. Anupama Hoskere (Director, Dhaatu Puppet Theater) - A storyteller with puppets, Anupama Hoskere’s innovative work in the control systems and design of puppets presents Indian epics and folklore on stage in a fascinating manner. Her entire life work is dedicated to the Indian arts, tradition and aesthetics. Invited artist at Guimet Museum of Asian Art in Paris. Performances at International Puppet Festivals in Paris, China, Russia and Morocco. Dr. Nagavalli Nagaraj is an exemplary vocalist of surpassing quality bestowed with a brilliant and resonant voice capable of traversing all the three octaves effortlessly. 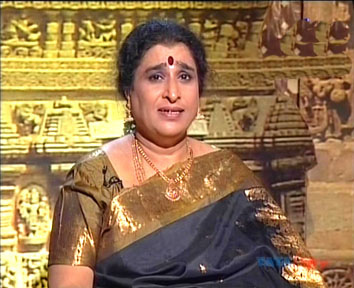 She is an eminent artist of the country holding top rank at All India Radio and Doordarshan. She has carved a niche in the field of music by mastering and rendering all the compositions of Carnatic music with immense versatility. Her music is distinct and unique abundantly packed with technical beauties and rich manodharma. Her audiences get carried away by the boundless creativity in terms of bhava and laya and also the diction of her voice. She communicates the deeper human emotions with listeners of her music. Dr. Nagavalli has several compositions to her credit in expounding, obscure and esoteric ragas. Her compositions sway from Tillanas to Ashtanayika Padams, from Kritis to Janapada folklore, from lilting Ragamalikas to complex and intricate Panchakalyani, Grahabheda Manipravala. She started composing at a very young age. When just a fifteen year old, she would take every piece of sahitya she found lying at home, think about a Raga which could adhere to the mood of the sahitya and blend it with rich music and precise exposition. She has an inbuilt urge to venture in new directions. Clever adaptations of poetry provided by erudite scholar Śatāvadhāni Dr. R Ganesh has made every composition unique and awesome. Many of her kritis are in vogue in dance and music circles. 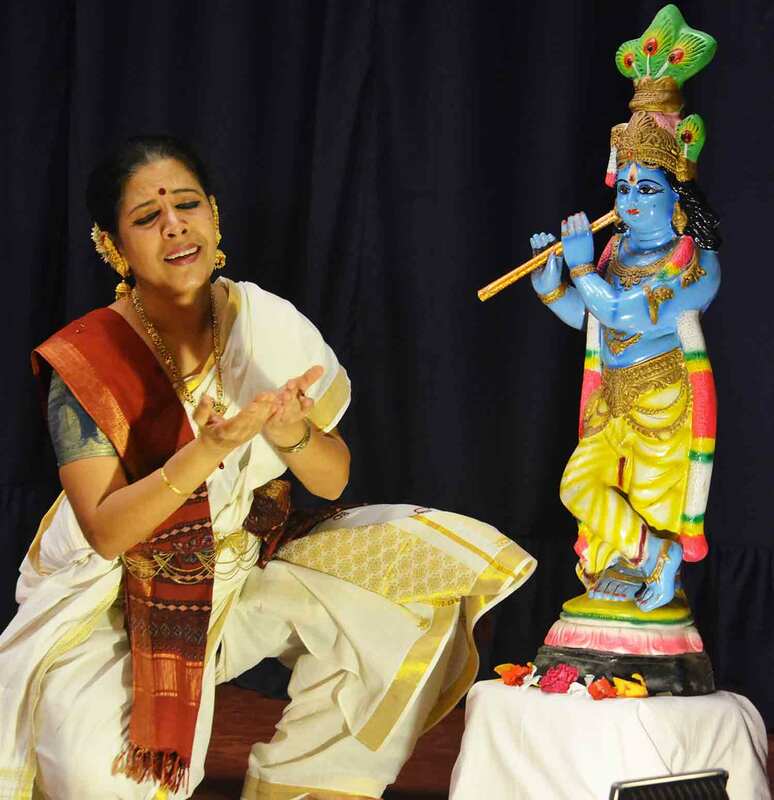 The Sahitya of Śatāvadhāni Ganesh and Lalitya of Dr. Nagavalli provide the art a new dimension.Her composition, Vani Vinutha Sharvaniis a complex composition in Raga Sudha Sindhu – a raga of her own creation. Dr. Nagavalli comes from an illustrious parampara of musicians with her Gurus being her father, Sri. K. S. Satyanath, and grandfather,Vaggeyakara Sri. Kolathur Ramakrishna Shastry. Her advanced training of music was under the tutelage of Late Sri Anoor Ramakrishna,a renowned Carnatic Classical Violinist and Vocalist. She was a visiting faculty in Bangalore University for over 25 years and currently a visiting Professor in Jain University in the department of performing arts. GANAKALA SHREE – Conferred by GanakalaParisha, Karnataka. President of the Young Musicians Conference in the year 2000. 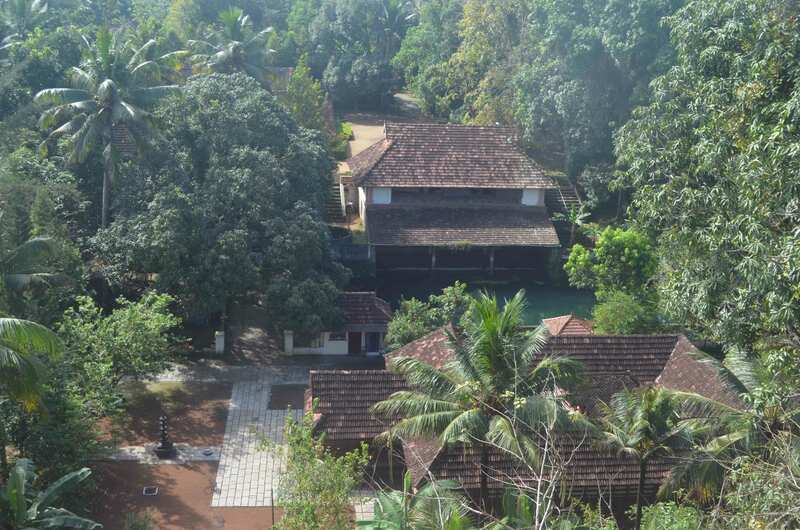 SANGEETHA VIDYA VARIDHI – Udupi Mutt. 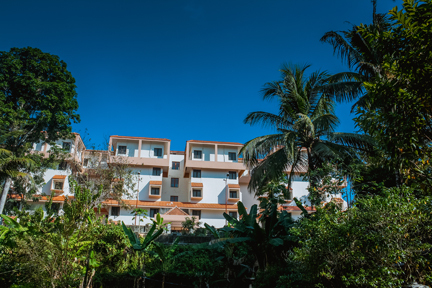 SANGEETHA VIDYA RATNA – Shubharam Trust, Bangalore. GOLD MEDAL from Dr.M.BalamuraliKrishna- MuraliRavali Trust 1986 who acknowledged her as one of the top musician. 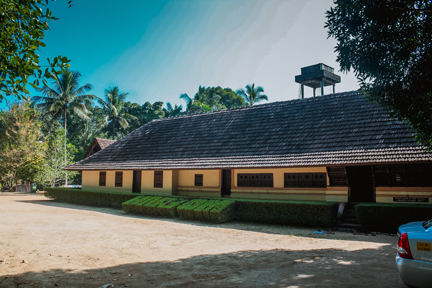 MANDAVYA SANGEETHA SWARA NIDHI - Sai Sangeetha Trust, Mandya. ANJANABHARANA - Anjana Institute for Music Bangalore. She is an MA Music from Bangalore University and a PhD in Music with Thesis on Integrated Study of the Compositions of Mysore Vasudevacharya. 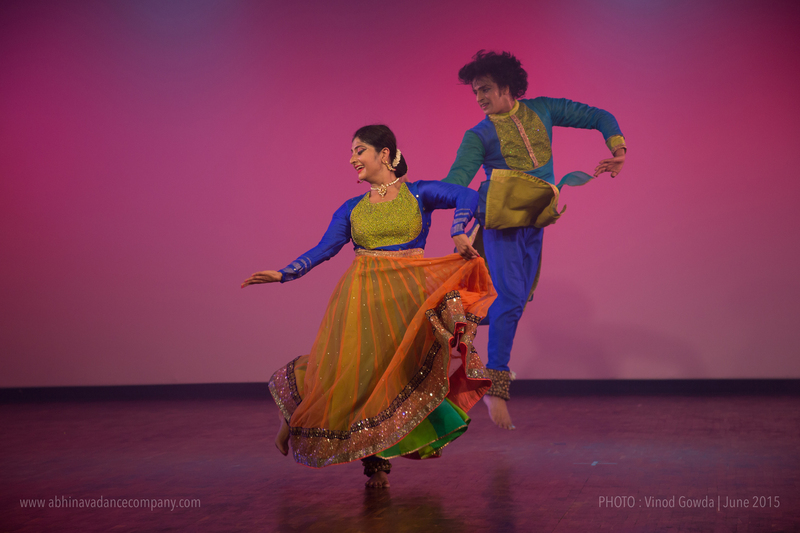 Rajendra and Nirupama, the dancer duo has been working in the field of dance for 25 years as dancers, choreographers, producers and performers in their own right. 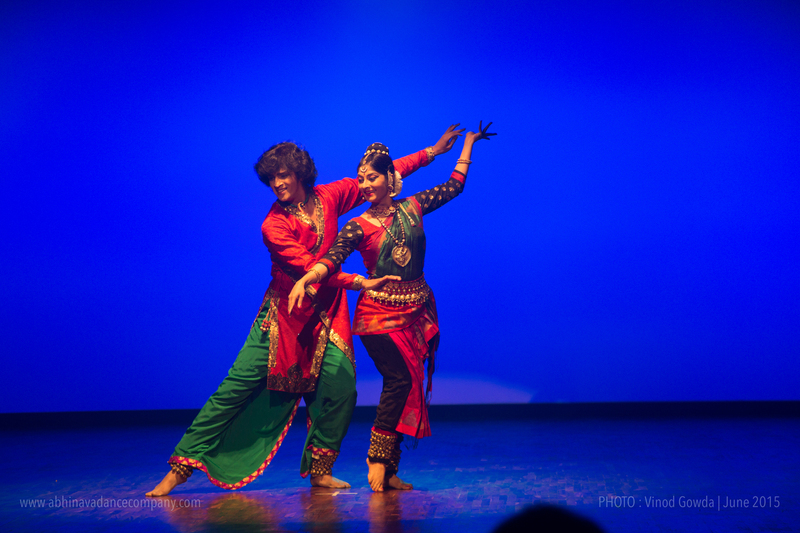 They are the artistic & creative directors of Abhinava Dance Company, Bangalore. Rooted in tradition, they have evolved a distinct style of choreography that integrates the Desi styles of Kathak, Bharatnatyam and the Maargi of Nāṭya-śāstra which they have studied under legendary Gurus and Scholars like Śatāvadhāni Dr. R. Ganesh, Dr. Maya Rao, Padmabhushan Kumudini Lakhia, Pandit Arjun Misra, Smt. 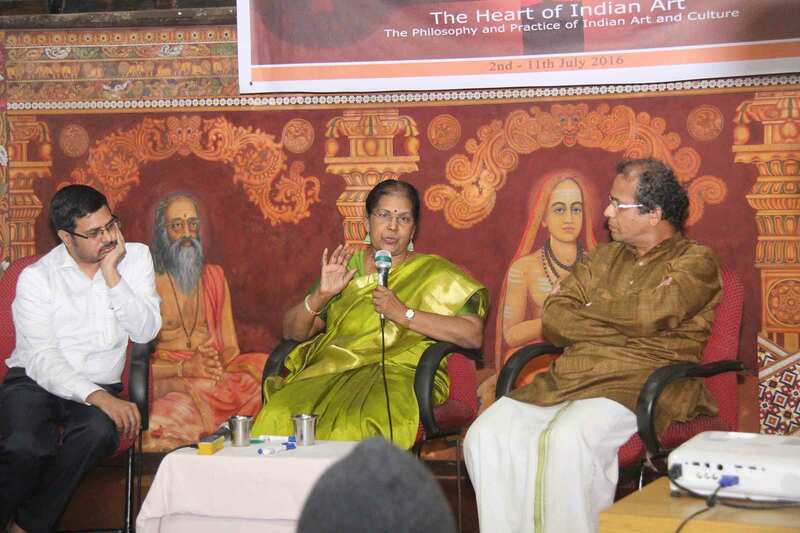 Sundari Santhanam, Padmabhushan Dr. Padma Subramaniam, Guru Narmada and Abhinaya under Padmabhushan Smt. Kalanidhi Narayan. As cultural ambassadors, they have performed and reached out to an audience of over 5 million in several countries across five continents. They have choreographed over 150 sequences that include full length and short length dance creations in traditional and classical styles. At the educational front, the duo conduct classes in Bangalore & do vocational training through workshops for dance enthusiasts in India, UK, Europe and USA. At the BIG HOPE CONGRESS 2008 Liverpool UK, they had the honour of sharing the dais with Former President of India Dr. A. P. J. Abdul Kalam in the discussion forum on the subject “Can Arts Save the World” and also shared Indian art and culture with 700 youth from 55 countries through performances, talks and workshops. They hold “A TOP” grade on Doordarshan and received several achievers’ awards like "Karnataka Kalashree" from the Karnataka Sangeeta Nritya Academy, Government of Karnataka , “The BIG KANNADIGA“ Award from 92.7 Big FM, Sri Krishna Vittalanugraha Prashasthi 2010 from Udupi Sri Krishna Mutt, “Nritya Nipuna” by Karnataka Nritya Kala Parishat , “U. S. Krishna Rao - Chandrabhagadevi Couple Award” by Attendance, Drishti Puraskar Award and “Kalavatamsa” by Gokulam School of Music , Bangalore. Ramaa Bharadvaj is a storyteller – sometimes with movements and sometimes with words. 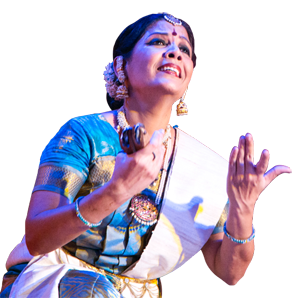 She is a student of legendary gurus "Padmashri” Vazhuvoor Ramaiah Pillai and “Padmabhushan” Kamala (Bharatanatyam), “Padmabhushan” Dr. Vempatti Chinna Sathyam (Kuchipudi) and “Padmabhushan” Dr. T.N. Ramachandran (dance theory). Ramaa lived in USA for 31 years where she was the first Indian dancer to win multiple Lester Horton Dance Awards for her choreographies and performances, which have been nationally telecast by PBS. She was also the first Indian dancer in over 45 years to be featured on the cover of the prestigious Dance Magazine. She has created family-friendly productions to both critical and popular acclaim. Her “Panchatantra- Animal Fables of India” (1994) was lauded for its humor and originality and has been seen by over 15,000 children in the US. In 2007, under commission from the Skirball Cultural Center, she created “Tails from India”, a special choreography for the opening of the Center’s Noah’s Ark Children’s Gallery. Ramaa was a visiting professor of dance at several Universities in the U.S. She was honored with the Directors Award from California Arts Council for her contributions to the Arts in the State of California. This annual award is given to those who embody the highest commitment to the arts in California. She was selected as one of 21 exceptional South Asian women living in the U.S., whose life-stories were presented in the book "Spices in the Melting Pot". 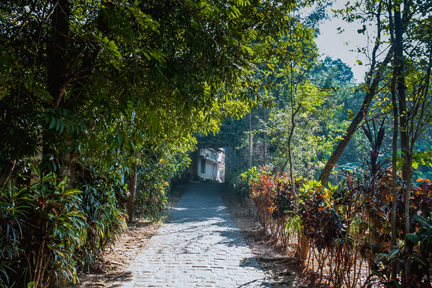 As a student of the Yogic Studies program, Ramaa spent several months at the Ganga Darshan Ashram in Bihar immersing herself in yogic life with strict daily rituals. She was later introduced to the healing aspects of Mudras by Mr. Vijay Bansal, a renowned Mudra Vigyan exponent and was initiated into the use of gestures for Goddess worship by Kamakoti Sastrigal, the chief priest at Kamakshi temple of Kanchipuram. She now brings these aspects to her practice of dance as a teacher, performer and speaker. Ramaa is also a distinguished writer whose essays, commentaries, research articles are published by leading global publications. The Summer School 2017 is open to all college and university students, researchers and faculty members from across disciplines, anyone with deep interest in the ethos of Bhāratīya civilisational and cultural continuity through ancient times. A Certificate of Participation will be awarded to all those participating for the entire duration of the course. Partial participation will not be awarded a certificate. The programme is currently being developed whereby students will earn 3 credits. A certificate will be awarded with formal grades and citation to the students after completion of the programme. The students' performance will be evaluated on the basis of their active participation in the discussion forums, test and seminar. Those who wish to take the course for credit should explicitly note their wish on the application form. Journey of exploration through lectures, lec-dems, performances. The program will begin on June 17 by 10 am and will end by 1 pm on June 26. *Scholarships and grants are available for selected students on a case-by-case basis. Non-refundable; sātvik vegetarian food and twin sharing accommodation provided. 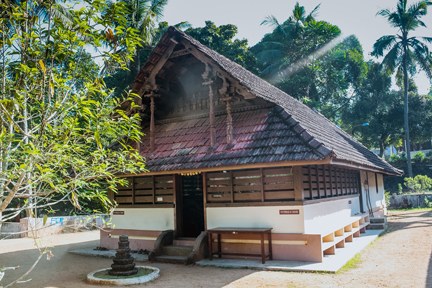 This topic on the foundations laid by Vālmīki, Vyāsa, and Kālidāsa on Indian culture is unique and valued by the literati as much as by academicians, philosophers, and practicing artists. 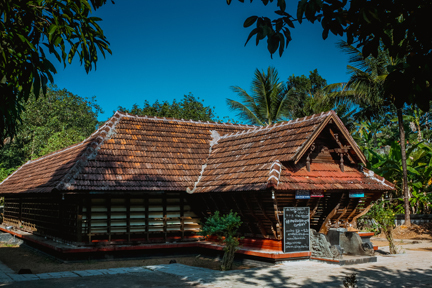 For all those with a thirst to get a holistic view of Indian civilization and culture, this Summer School provides a platform for an exploration not provided in the current educational process. One finds many sāhitya rasikas at Literary Festivals and great maestros at Art Festivals but this programme looks at the source inspiration and continuing influence on the pan-Indian culture and beyond. A study of these masters through the original literature and various art forms gives us both a macroscopic and microscopic view of the cultural ethos of India. The workshop allows for close interaction with artists and scholars. The participants with their varied backgrounds, age groups and nationalities will add to the richness of the experience. The Summer School Intensive is equivalent to 3 credit course in some European Universities. The students have to arrange with their Faculty for credit recognition, or for college / university attendance. Note: Participation Certificate will be granted for full attendance. For credit certificate, the students will be given special assignment to be completed before the end of course.